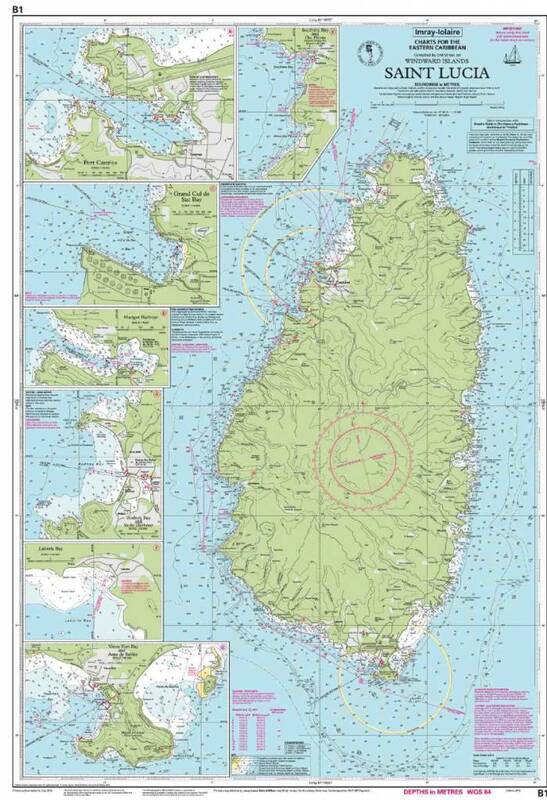 This Imray-Iolaire waterproof chart features large scale insets of harbors and bays on St. Lucia Island, one of the Windward Islands in the Caribbean Sea. This St. Lucia chart includes insets of Port Castries, Grand Cul de Sac Bay, Marigot Harbor, Rodney Bay & Yacht Harbor, Laborie Bay, Vieux Fort Bay & Point Sable Bay. 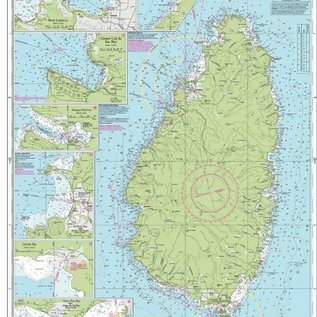 This Imray-Iolaire passage chart for the Eastern Caribbean is printed in color on treated water-resistant paper and folded for efficient storage.